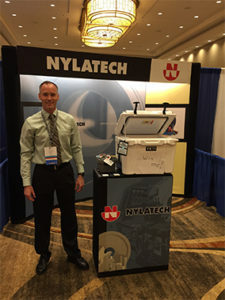 Earlier this month, we met a lot of you in Phoenix, Arizona, at the 60th Annual IAPD Convention. Thank you to those who stopped by our booth and we hope you found the conference informative and worthwhile. The primary goal of this conference was to bring you together with other IAPD members and performance plastic experts in a positive setting to LEARN, CONNECT and most importantly, HAVE FUN. Speaking of fun, we would like to congratulate Kevin Lachenmeier with Multi-Craft in Portland for winning the Yeti Tundra 35 Cooler. Be sure to stay tuned for the presentation next month!